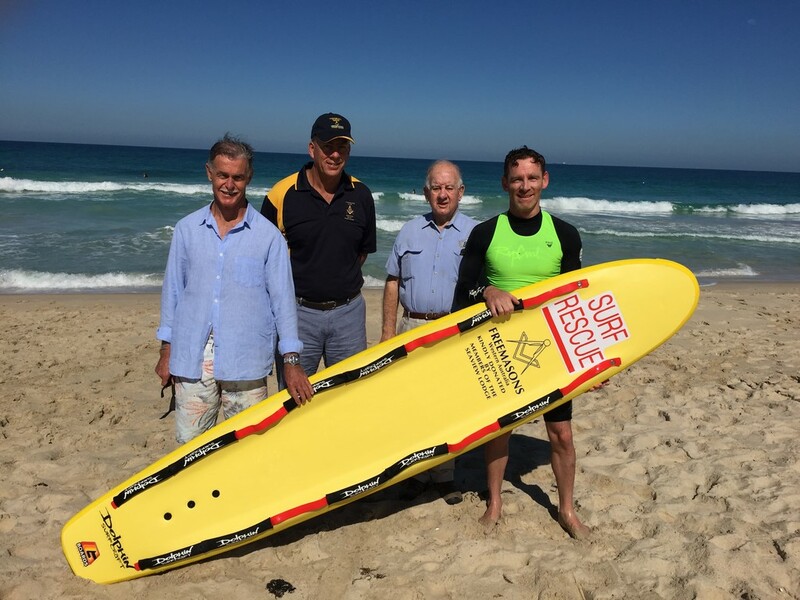 Members of the Seaview Freemasons Lodge, which is located in Doubleview, recently donated sufficient funds to the Scarborough Surf Life Saving Club to enable the Club to buy two additional rescue boards. Rescue boards are generally a first responder to emergency situations and are equipped with rails around the edge to enable a number of people who may be in difficulty to retain buoyancy while waiting for further assistance to arrive. The Seaview Freemasons raise funds for charitable causes. Sausage sizzles at Bunnings Innaloo are an important part of the fund raising programme and the support of Bunnings is gratefully acknowledged.